Welcome to our Year 1 Page ! You will find all letters, important dates, topic information and photos for Year 1 classes here. We celebrated World Book Day by coming to school dressed as our favourite book characters. Year 4 also visited our class and we shared some stories. This is our Spring home learning which included our journey maps from home to school, growing a plant and exploring nonsense words. We were so impressed with the range of home learning and your creativity. Thank you for your continued support from the Year 1 team. 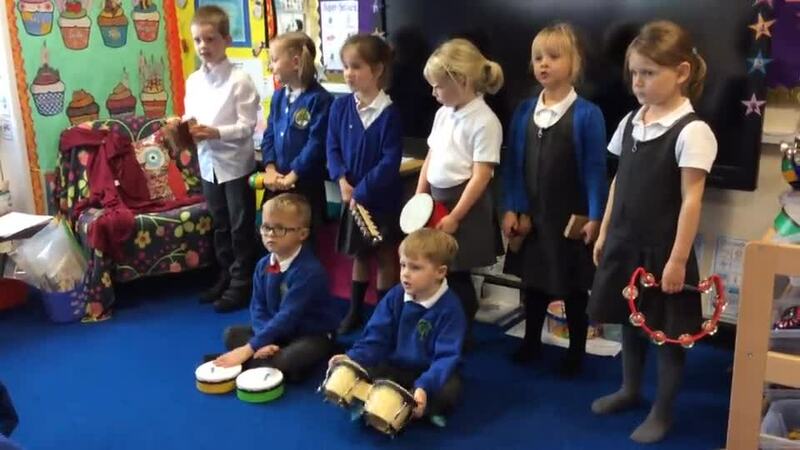 Our sixty two piece band have been exploring rhythm and beat by using a range of selected instruments. We explored the Parley School Site looking for familiar landmarks in our Geography and Science lessons. We investigated the different types of materials used. With our History heads on, we looked at changes within recent years on the site and discussed the building of The Pod. We have been learning to give instructions (algorithms) to make Beebots move around the classroom. We had great fun forming our lower case and capital letters correctly and putting them in alphabetical order. 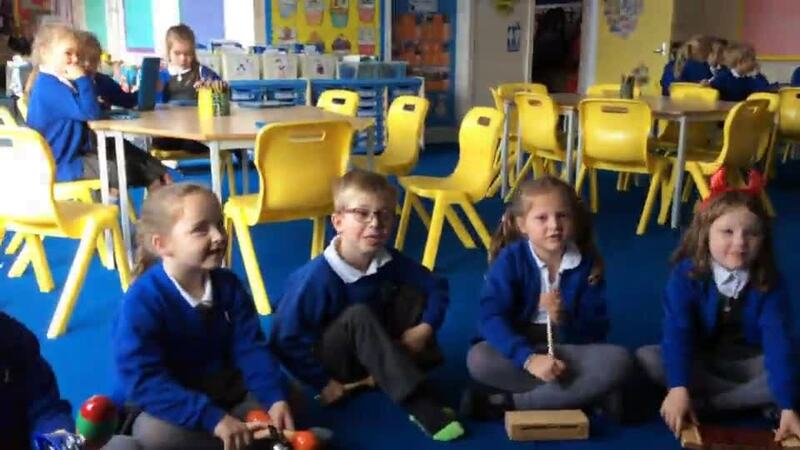 Once we had written our Autumn poems in groups, we used a cross-curricular approach to accompany these poems by choosing appropriate percussion. 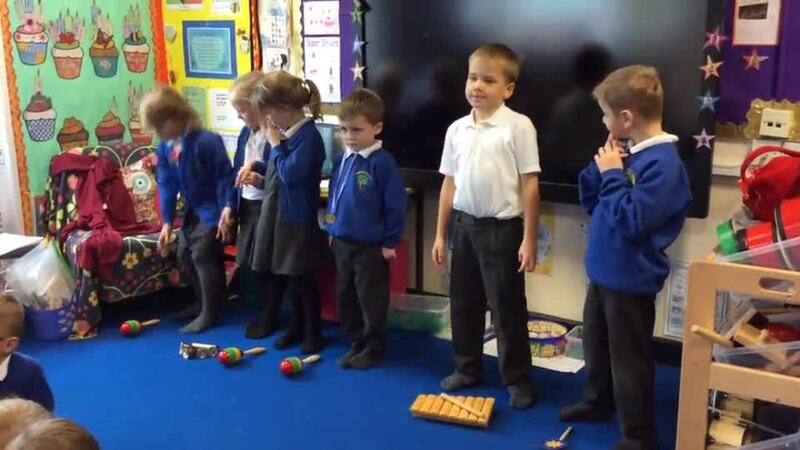 We listened to the sounds the instruments made and carefully chose how to play each instrument (timbre). Our weather topic has gone down a storm! In our design technology and art curriculum we have designed and made weather mobiles and kites. Also, we have enjoyed learning the days of the week through the story Mr Wolf’s Week. 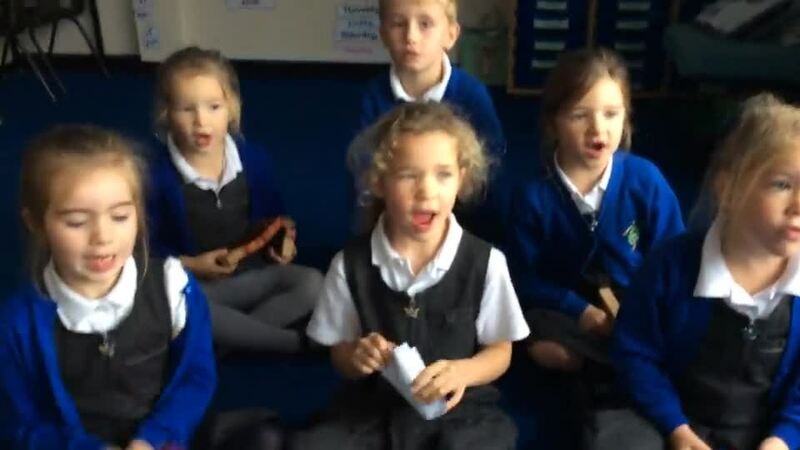 We completed our topic with our assembly where we showed our interpretive weather dances, sang our weather songs and shared our learning about Seasons. 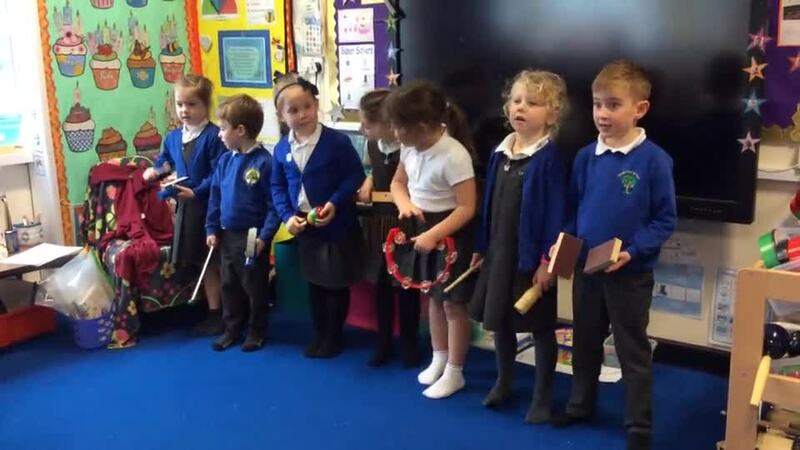 We have been retelling the story of Mr Wolf’s Week using our story symbols (Talk for Writing) and actions. Then we wrote our own stories about our favourite weather and made up dances to show the weather. We are learning to spell all the days of the week using magnet letters. We designed our own kites using recycled materials. Then we followed our plans and created our kites. Have a look at us enjoying flying our kites in the photos and videos below. Last May our Reception children made wedding cards for Prince Harry and Meghan. This week we received individual cards for each child. It was very exciting to receive post from Kensington Palace! We have really enjoyed working on our letter formation this week by using paint, glitter, sand, tracing paper, magnetic letters and lots of other fun ways. 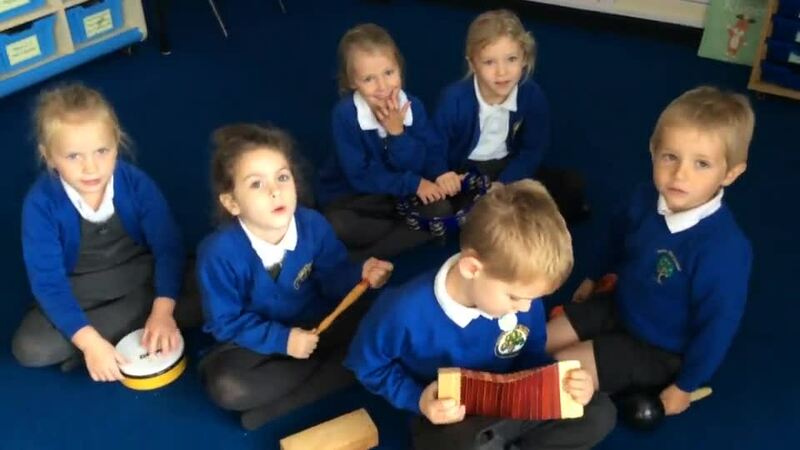 Take a look at what we have been up to in our Early Bird activities. Can you spot any patterns? 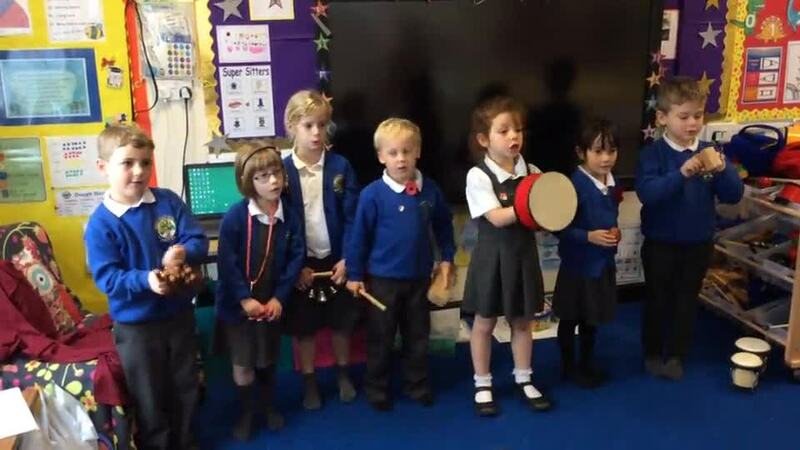 We hope your children are excited to be in Year 1 and will quickly settle into school life! Our topic for the first half of term is ‘Mr Wolf’s Week’. Within this topic we will be studying weather patterns and changes connected to the seasons. We will be investigating how to measure using rain gauges and designing our own kites. Literacy and Maths will be taught wherever possible in a cross curricular approach. After half term the topics will be ‘Heroes’ and ‘Healthy Me’. Further details of our curriculum can be found on the curriculum map and timetable on the year 1 website page. 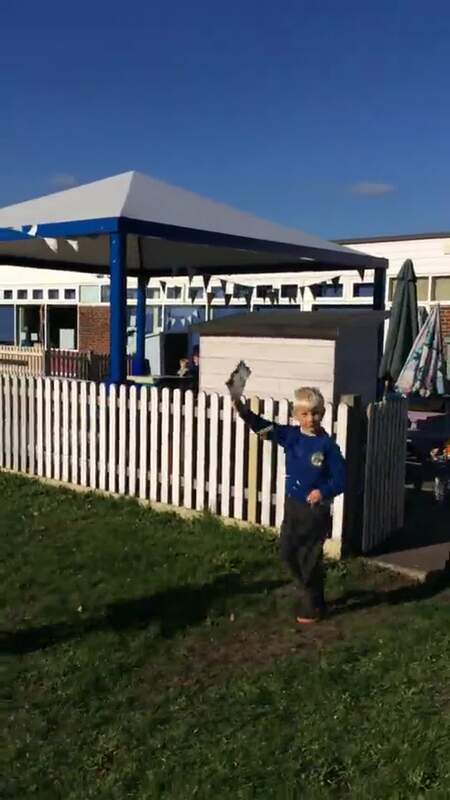 We take part in PE lessons outside throughout the year. The weather can be quite cold so please could you ensure that your child has a warm outside PE kit (jumper, trousers, socks and trainers suitable for hard surfaces). For those children who are part of the football club at lunchtime, please could you ensure that they have appropriate kit (separate to their PE kit) and a plastic bag to store their muddy boots. Your child has a learning log in their book bags to record their reading achievements. One of the main focuses in year 1 is for them to learn phonemes (sounds). There is a copy of these sounds in the middle of the learning log to enable you to support your child in learning them. Due to the National Year 1 phonics screening test in June, our weekly home learning is to hear your child read on a regular basis. In order to encourage your child to become more independent in their learning, we offer a range of home learning activities that are relevant to the topics we are covering. This will be in the style of a menu and your child can decide how much home learning they wish to cover. At the beginning of each term we will publish the activities on the website, with a date for the children to complete it by. These activities do not need to be completed every week, and not everything needs to be brought in to school. 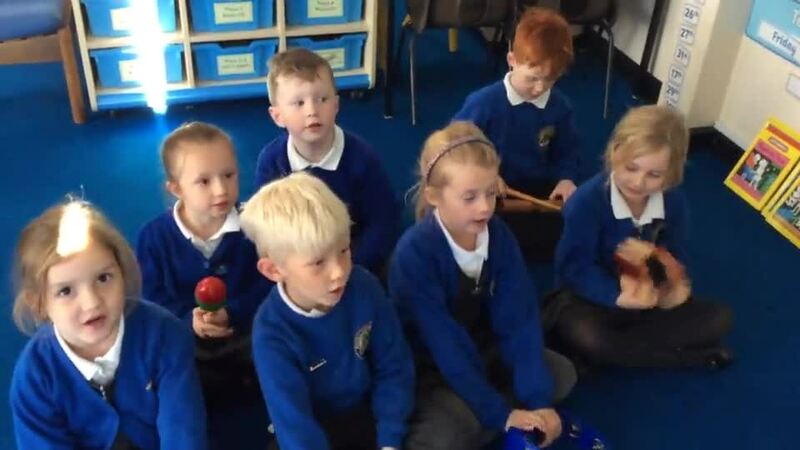 We hold celebration mornings where the children can look at each other’s home learning and see how different people have presented their learning. If your child does something they are really proud of at home please feel free to let them bring it in to show the class. - Book bag, reading book/s and reading log. - Fruit or vegetable snack for morning break. - Labelled bottle of water only to drink throughout the day. We allow the children to get a drink whenever they need to, and although juice or squash is permitted in lunch boxes, it is not advisable for the children to have sticky, sugary drinks in the classroom as they can attract ants, spoil classroom resources and stain the carpet if spilled. Your children have the opportunity to change their reading books as and when they need to during our Early Bird sessions. This could be every day or several times a week. Please make sure your child is only changing their book after you have heard them read and commented in their reading log if you wish. We encourage them to choose their own books, as we want to foster a genuine love of reading. We would also like to encourage your child to join the local library. It is a brilliant way for them to develop reading skills, learn about different genres and take part in reading activities and games. For health and safety reasons, we ask that long hair is tied back whilst at school to avoid the spread of headlice. Please check your child’s head regularly. Young children often play in close proximity, and this can lead to an outbreak across the school. If your child has pierced ears they should only wear studs. No other jewellery should be worn in school (including loom band bracelets). Children are encouraged to ride their scooter or bike to school, however we ask that you ensure they do not ride across the playground before or after school in order to avoid accidents with pedestrians. Details of our 2019 visit, along with costings will be sent to you later in the term. We value our partnership with you very much. If you have any queries please do come and see us at the end of the day.